Panasonic recently made the availability of its all new rugged portable Toughbook line up laptop, named Panasonic Toughbook S9.Panasonic claimed the new Toughbook S9 laptop to be the worlds lightest 12-inch notebook that houses a DVD drive.The laptop is well suitable to use in extreme conditions. The Panasonic Toughbook S9 Laptop comes equipped with a 12.1-inch LED backlit display with resolution of 1280 x 800 pixels and is powered with a 2.4GHz Intel Core i5-520M vPro processor with a possible option of up to 2.93 GHz with Intel Turbo Boost.The S9 notebook comes with a 320GB shock resistant HDD and a 2GB DDR3 RAM which can be upgraded to a maximum of 6GB. All new Panasonic Toughbook S9 notebook features spill-resistant keyboard, Gigabit Ethernet LAN, Wi-Fi 802.11a/b/g/n, Bluetooth 2.1, DVD Super Multi, HDMI and VGA for external monitor.Its battery provides about 11 hours of life and comes pre-installed with Windows 7 OS. New Panasonic Toughbook S9 notebook meet U.S. military standard, MIL-STD-810G and is made of low weight materials like rubber, durable plastic and magnesium alloy that can able to withstand more than 100 kg of pressure and drop from 76 cm of height. 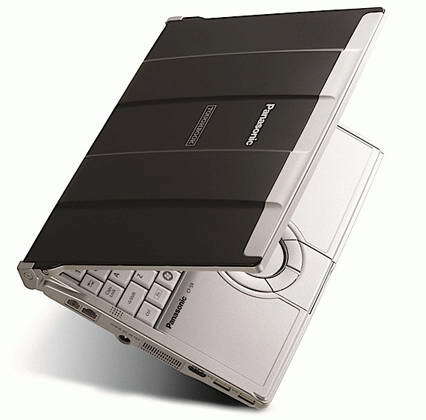 Optional up-grading availabilities includes fingerprint reader, TPM 1.2 chip and Gobi2000 module that includes 3G modem and integrated GPS.Panasonic Toughbook S9 weighs 1.36kg and its dimensions are 11.1 x 8.3 x 0.9-1.5 inches. With all the exciting features the new Panasonic Toughbook S9 durable laptop now available for sale in US markets for a price tag that starts at $2,499. 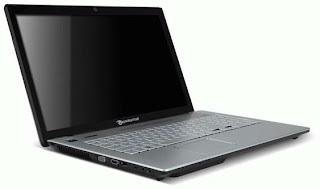 Tags:-Panasonic lightest 12-inch notebook, Panasonic Toughbook S9 Rugged Laptop features, Panasonic Toughbook S9 Rugged Laptop price, Panasonic Toughbook S9 Rugged Laptop price details, Panasonic Toughbook S9 Rugged Laptop launch, Panasonic Toughbook S9 Rugged Laptop details, Panasonic Toughbook S9 Rugged Laptop review, Panasonic Toughbook S9 Rugged Laptop preview. 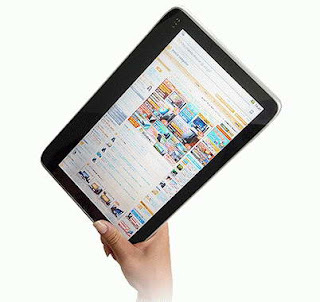 Taiwanese manufacturer, Gigabyte Technology recently made the availability of its all new convertible tablet, named Gigabyte T1125.The all new Gigabyte T1125 convertible tablet comes pre-installed with Windows 7 OS. New Gigabyte T1125 convertible tablet comes equipped with a swivel 11.6-inch touchscreen LED-backlit display with resolution of 1366 x 768 pixels with multitouch support and is powered with an Intel Core ULV (ultra-low voltage) processor.The convertible tablet notebook supports up to 8GB RAM and 500GB HDD. 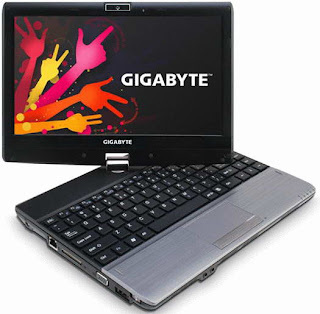 All new Gigabyte T1125 convertible tablet Features 1.3 megapixel camera, Gigabit Ethernet LAN, Wi-Fi 802.11b/g/n, Bluetooth 2.1, card reader, and optional 3G modem.The convertible tablet also houses two USB 3.0 ports, eSATA/USB 2.0 connector, HDMI and D-Sub, jacks for headphones, microphone and a 6-cell 7800mAh battery for providing back-up life. 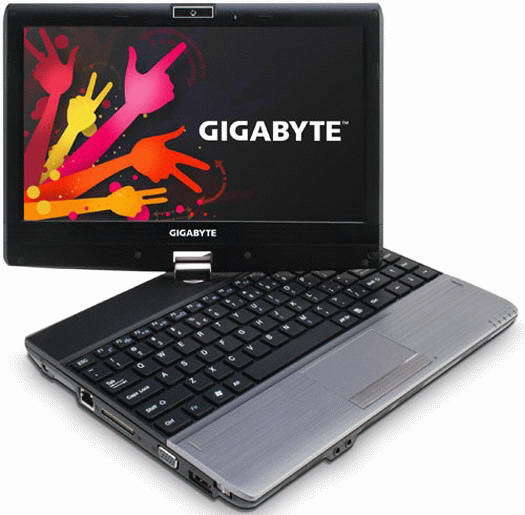 Tags:-Gigabyte T1125 convertible tablet notebook Features, Gigabyte T1125 convertible tablet notebook details, Gigabyte T1125 convertible tablet notebook specs, Gigabyte T1125, convertible tablet, notebook. 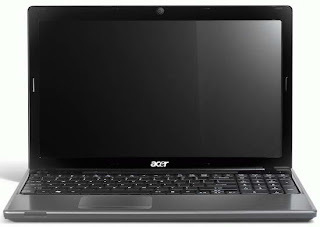 Acer recently made the official announcement of their new 3D vision notebook, named Acer Aspire AS5745DG.The new Acer Aspire AS5745DG 3D notebook comes bundled with a pair of NVIDIA active shutter glasses. 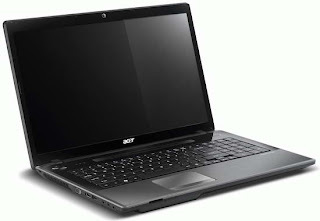 The new Acer Aspire AS5745DG 3D notebook comes housed with NVIDIA 3D Vision courtesy of the NVIDIA GeForce GT 420M GPU and includes Acer Arcade Deluxe software that enables the conversion of 2D into a 3D structure. 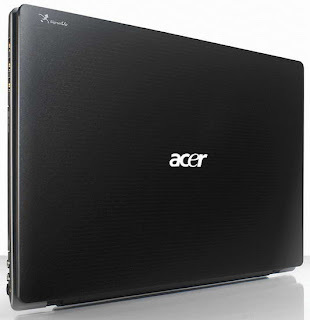 New Acer Aspire AS5745DG 3D notebook comes equipped with a 15.6-inch display with resolution 1366 x 768 pixels and has a refresh rate of 120Hz.The 3D notebook is powered with a Intel Core i5 processor and a storage capacity of 500GB HDD. The all new Acer Aspire AS5745DG notebook Features 1.3 megapixel HD webcam, Wi-Fi 802.11a/b/g/n, Gigabit Ethernet, card reader, four USB ports, HDMI output, and a 9-cell battery for providing back-up life. Acer Aspire AS5745DG 3D notebook is expected to hit markets by the end of October 2010 with a price tag of $999.99. 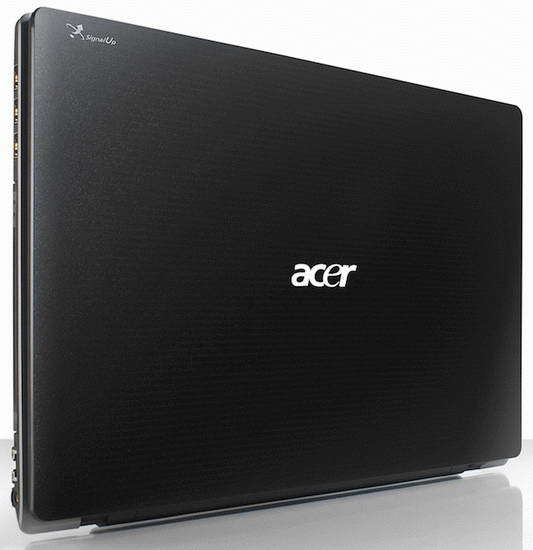 Tags:-Acer Aspire AS5745DG 3D notebook price, Acer Aspire AS5745DG 3D notebook features, Acer Aspire AS5745DG 3D notebook specifications, Acer Aspire AS5745DG 3D notebook release, Acer Aspire AS5745DG 3D notebook launch, Acer Aspire AS5745DG 3D notebook price details, Acer 3D notebook. 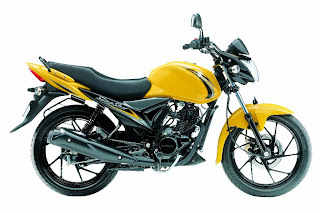 Mahindra recently announced that their new motorbikes Mahindra Diablo & Mahindra Cevalo will hit Indian market on the coming 30th of this September 2010.Mahindra Diablo comes with a price tag of Rs. 1,50,000 and Mahindra Cevalo will be priced at Rs. 60,000. 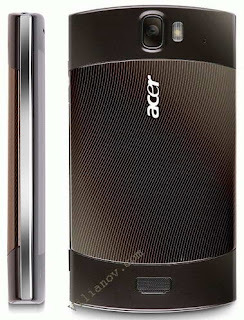 Other specifications and Features available in the related post section give below. Go through that and more details will be revealed soon.. Tags:-Mahindra bikes features, Mahindra bikes price tag, Mahindra bikes launch date, Mahindra bikes price in india, Mahindra bikes india price, Mahindra bikes india release. 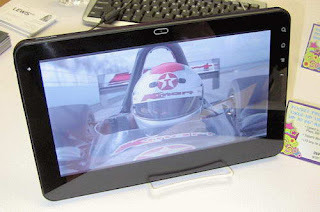 Haleron recently made the availability of its all new Android tablet, named Haleron X-Droid 10.The new Haleron X-Droid 10 Tablet runs on Google Android 2.1 OS and is available for a price tag of $249. 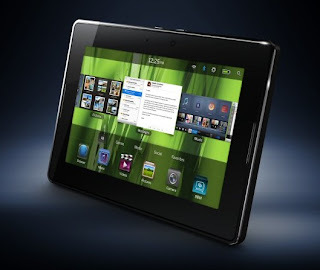 The all new Haleron X-Droid 10 tablet comes equipped with a 10.2-inch resistive TFT display with resolution of 1024×600 pixel and is powered with a 1GHz ZT-180 ARM processor.The tablet packs a 256 MB RAM module and coming in between 2GB to 32GB flash storage capacity range. 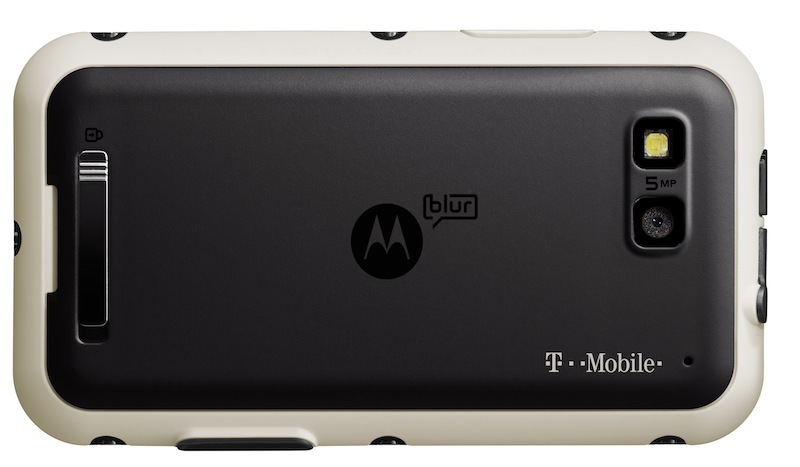 New Haleron X-Droid 10 tablet Features Ethernet LAN, Wi-Fi, 1.3-megapixel webcam, multimedia playback(up to 1080p HD), document viewer, web browser, stereo speakers, a microphone, a pair of USB port and a headphone jack. Haleron X-Droid 10 tablet has a dimension of 270 x 180 x 15 mm and the battery provides about 7 hours life with Wi-Fi off mode and about 5 hours in on state. Tags:-Haleron X-Droid 10 Android Tablet price, Haleron X-Droid 10 Android Tablet launch, Haleron X-Droid 10 Android Tablet specs, Haleron X-Droid 10 Android Tablet camera, Haleron X-Droid 10 Android Tablet features, Haleron X-Droid 10 Android Tablet price tag. 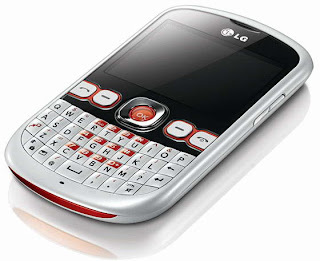 LG recently introduced their all new QWERTY handset,named LG Town C300 in UK market.The new LG Town C300 handset is soon available via Orange, Phones 4U and Tesco. 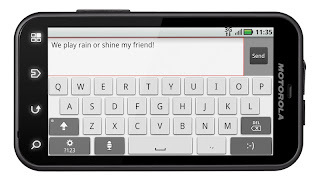 The all new LG Town C300 handset comes equipped with a 2.4-inch display and is integrated with social networking sites like Facebook, Twitter and MSN.There is also a Social Networking System (SNS) widgets that provides timely updates on your hme screen.LG Town C300 handset features 2MP camera, QWERTY keyboard, MP3 player and FM radio. 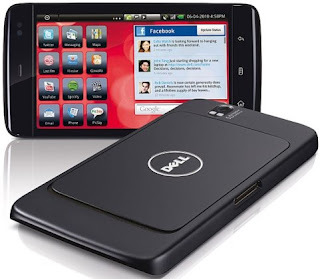 Dell recently made the availability of its updated nettop that uses the latest AMD mobile processor, named as Dell Inspiron Zino HD.The new Dell Inspiron Zino HD Nettop comes pre-installed with Windows 7 OS. The all new Dell Inspiron Zino HD nettop comes powered with henom II quad-core processor and houses either an AMD integrated graphics card or 1GB AMD discrete graphics card for DirectX 11 API.The Nettop supports up to 8GB RAM and a HDD capacity of 1TB. New Dell Inspiron Zino HD Nettop Features Wi-Fi 802.11a/b/g/n, Gigabit Ethernet, DVD writer or Blu-ray drive, multi-card reader, D-Sub and HDMI connector and two eSATA ports.The light weight nettop weighs about 1.6 kg and its dimensions are 197 x 197 x 89 mm. The new Dell Inspiron Zino HD Nettop is available for a price tag that starts at $270. 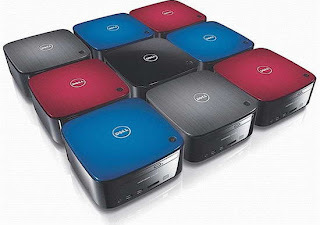 Tags:-Zino HD Nettop, Dell Inspiron, Dell Inspiron Zino HD Nettop features, Dell Inspiron Zino HD Nettop price, Dell Inspiron Zino HD Nettop details, Dell Inspiron Zino HD Nettop specifications. Fly Mobile recently made the availability of its all new dual SIM handset in Indian market, named Fly Mobile MV135.The handset can hold dual SIM of GSM+GSM simultaneously.Fly Mobile MV135 Dual SIM Phone is now available in India for a price tag of Rs. 3,949. The new Fly Mobile MV135 handset comes equipped with a 6.1cm, QVGA display and houses a 2 megapixel camera with video recording capability.Features of new Fly Mobile MV135 Dual SIM Phone includes Bluetooth, music and FM player, scheduled FM recording, USB port and a microSD card slot. 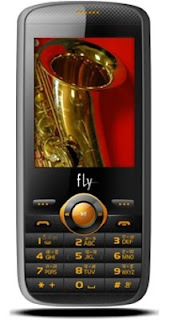 Fly Mobile MV135 Dual SIM Phone comes integrated with Nimbuzz, Opera Mini and Snaptu and Social networks.The handset also includes various applications including eBook reader, call recording, call black list and Java games.The handset includes a 1050 mAh battery. Tags:-Fly Mobile Dual SIM Phone, Dual SIM Phone from Fly Mobile, new Dual SIM Phone from Fly Mobile, Fly Mobile MV135 Dual SIM Phone features, Fly Mobile MV135 Dual SIM Phone details, Fly Mobile MV135 Dual SIM Phone specs, Fly Mobile MV135 Dual SIM Phone price, Fly Mobile MV135 Dual SIM Phone india price, Fly Mobile MV135 Dual SIM Phone availability. 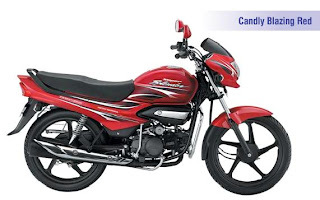 Mahindra India is all well set to launch its all new motorbike named Mahindra Cevalo in Indian market.The new Mahindra Cevalo bike is expected to hit Indian roads by first week of October this year for an on-road price tag of around Rs. 60,000. The all new Mahindra Cevalo motorbike comes powered with a 125cc 4 valve, air cooled, fuel injected engine that outputs a maximum power of 15 bhp.The engine is mated with a 5 Gear with manual transmission.The bike features single disc brake along with black colored alloy wheels and has an overall sporty look. The console of new Mahindra Cevalo features a semi digital nature including techo meter, speedometer, indicators light and gearshift indicator light. Tags:-Mahindra Cevalo features, Mahindra Cevalo price, Mahindra Cevalo india launch, Mahindra Cevalo india price, Mahindra Cevalo india release, Mahindra Cevalo power, Mahindra Cevalo engine specs, Mahindra Cevalo shades, Mahindra Cevalo colors, Mahindra bike, Mahindra new two wheeler, Mahindra new motor bike. Taiwanese manufacturer, BenQ recently made the official announcement of their upcoming new LED gaming monitor, named BenQ XL2410T.The new stylish BenQ XL2410T 3D LED Gaming Monitor will be available for sale in European markets by October 2010. The all new BenQ XL2410T LED monitor comes equipped with a built on 23.6-inch TN panel with a resolution of 1920 x 1080 pixels (Full HD).BenQ XL2410T 3D LED Monitors comes with a lot of gaming features including set of Gaming Display Modes including FPS mode ie First Person Shooting and use 120Hz that compatible with nVidia 3D Vision technology. 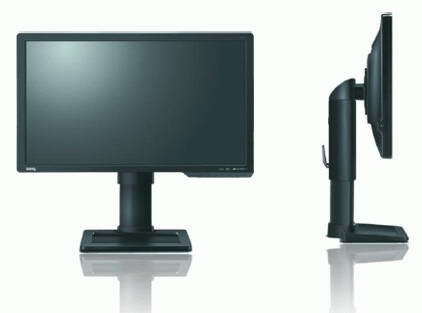 Other features of BenQ XL2410T 3D LED Gaming Monitor includes LED backlight, 16:9 aspect ratio, 2ms response time, 300 cd/m2 brightness, 10,000,000:1 contrast ratio, D-Sub, DVI-D and HDMI 1.3 connectors. Tags:-BenQ XL2410T 3D LED Gaming Monitor features, BenQ XL2410T 3D LED Gaming Monitor relaese, BenQ XL2410T 3D LED Gaming Monitor launch, BenQ XL2410T 3D LED Gaming Monitor specs, New BenQ LED Gaming Monitor, New BenQ 3D Gaming Monitor. Samsung India recently added a new handset to its Guru series, named Samsung Guru Dual SIM E2152.As the name suggests the new Guru handset features dual SIM capability.The new Samsung Guru Dual SIM E2152 phone is available for a price tag of Rs. 3,550. New Samsung Guru Dual SIM E2152 phone comes equipped with a 2-inch LCD display with 262K colors, QQVGA resolution (128×160 pixel) and has a Paragon Lite user interface.The Guru Dual SIM E2152 handset features Bluetooth, VGA camera with recording, MP3 player, FM Radio with recording and microSD memory card slot for expanding up to 2GB. The all new Samsung Guru Dual SIM E2152 phone has an internal memory of 7.5 MB and houses powerful torch light, dedicated music key, 9 regional language supports, fake call along with a 1000mAh battery that provides about 11 hours of life in talk time. 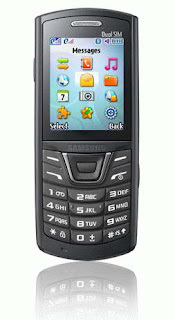 Tags:-Samsung Guru Dual SIM E2152 phone price, Samsung Guru Dual SIM E2152 phone features, Samsung Guru Dual SIM E2152 phone india price, Samsung Guru Dual SIM E2152 phone india specs, Samsung Guru Dual SIM E2152 phone india availability. Nikon recently made the availability of its all new multitouch Compact Camera, named Nikon Coolpix S80.The main feature of the new Nikon Coolpix S80 Compact Camera is its ability to record HD video in 720p format at 30 frames per second with stereo sound recording. New Nikon Coolpix S80 compact camera comes equipped with a 3.5-inch multi-touch OLED display and houses a 14.1-megapixel sensor.The multitouch enables better user-friendly interface.The new Nikon Coolpix S80 camera includes a a 5x zoom NIKKOR lens (35-175 mm focal length in 35mm format), optical stabilization system and advance EXPEED C2 image processor. 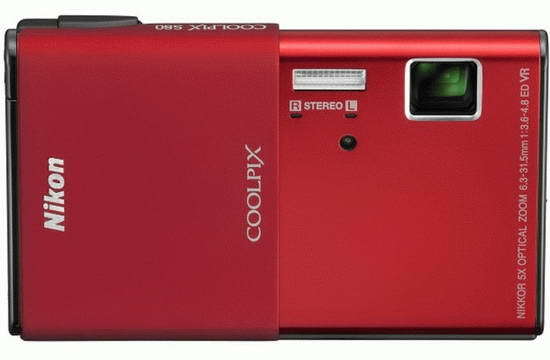 The new Nikon Coolpix S80 compact camera Features 4x digital zoom, 79 MB internal memory, SD/SDHC memory card slot, 17 preset shooting modes, 5 built-in anti-blur functions including lens-VR (Vibration Reduction) and Motion Detection, and USB 2.0 port. 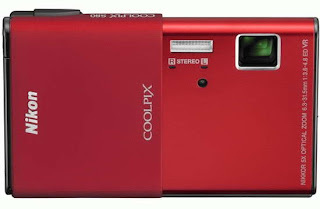 Nikon Coolpix S80 multitouch Compact Camera comes with a dimension of 99 x 63 x 17 mm and its weight is about 130g including battery and memory card.the all new Nikon Coolpix S80 multitouch Compact Camera will be available soon in markets for a price tag of $330. 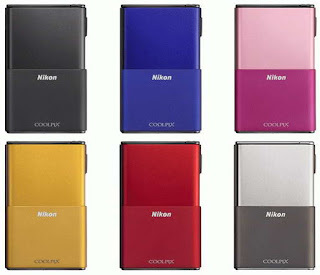 Tags:-Nikon Coolpix S80 camera, Nikon Coolpix S80 camera features, Nikon Coolpix S80 camera specs, Nikon Coolpix S80 camera details, Nikon Coolpix S80 camera availability, Nikon Coolpix S80 camera launch, Nikon Coolpix S80 camera price, Nikon Coolpix S80 camera price tag, Nikon Coolpix S80 camera specifications, Nikon Coolpix S80 camera shades, Nikon multitouch camera, multi-touch OLED Nikon camera. 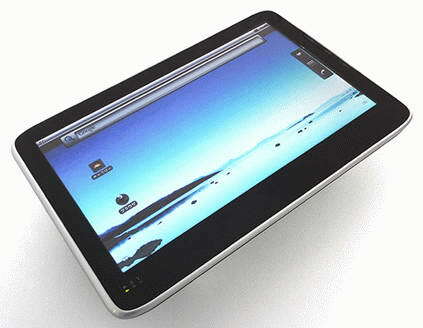 ViewSonic on its way to release its new ViewSonic G Tablet in markets by October 2010 for a price tag of $429. The new ViewSonic G Tablet comes equipped with 10-inch capacitive touchscreen display with resolution of 1024 x 600 pixels and is powered with nVidia Tegra second generation processor.ViewSonic G Tablet Features 1GB RAM, Bluetooth 2.1, Wi-Fi 802.11n, USB / HDMI port, 1.3 megapixel camera and runs on Google Android 2.2 OS. Tags:-ViewSonic G Tablet price, ViewSonic G Tablet features, ViewSonic G Tablet specs, ViewSonic G Tablet release, ViewSonic G Tablet launch, ViewSonic G Tablet price details, ViewSonic G Tablet availability. 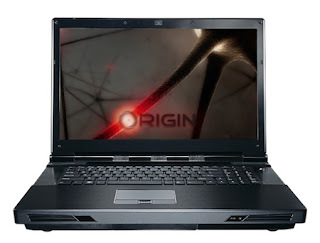 MSI recently started the sale of their all new powerful notebooks, named MSI GX660 and the MSI GX660R.Both new MSI GX660 and the MSI GX660R notebooks are now available for a price tag of $1,449.99 and $1,749.99 respectively. The all new MSI GX660 and GX660R premium notebooks comes enclosed in black casing with orange highlights provides a stylish appearance.The notebooks also is included with Dynaudio Premium Sound Speakers to get high-quality sound. 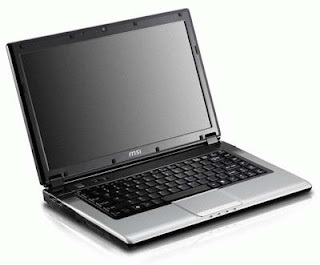 Both MSI GX660 notebooks comes equipped with a 15.6-inch LED Backlight TFT LCD display with resolution of 1920 x 1080 pixel and for processor details the MSI GX600 notebook is powered with a 2.4GHz Intel Core i5-450M processor along with GB of DDR3 RAM, and 500GB HDD where as the MSI GX600R laptop comes housed with a 1.73GHz Intel Core i7-740QM quad-core CPU and includes 6GB of DDR3 RAM, Blu-ray drive, and 640GB (320GBx2) hard drive. Both new MSI GX660 and GX660R premium notebooks features Mobility Radeon HD 5870 discrete graphics, built-in 720p HD webcam, 802.11 b/g/n WiFi, USB 3.0 and HDMI port. 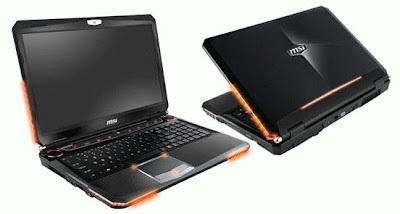 Tags:-MSI GX660 and GX660R premium notebooks, MSI GX660 and GX660R premium notebooks price, MSI GX660 and GX660R premium notebooks features, MSI premium notebooks, MSI powerful notebooks, MSI stylish powerful notebooks, MSI GX660 and GX660R premium notebooks price details. 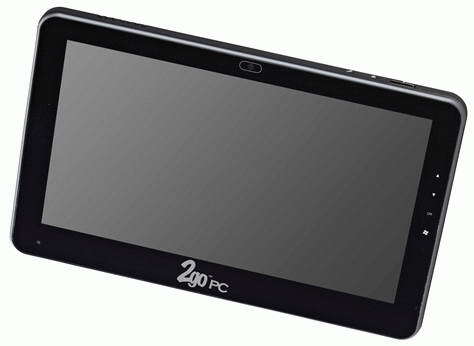 Computer Technology Link (CTL) started the sale of their all new tablet, named CTL SL10 2GoPad.The new 2GoPad tablet features Intel platform and is actually runs on Windows 7 OS.The all new CTL 2GoPad SL10 tablet is available for pre-order now for a price tag of $500. New 2GoPad SL10 tablet comes equipped with a 10.1-inch capacitive touchscreen display with resolution of 1024 x 600 pixels and supports multitouch and is powered with a 1.66GHz Intel Atom N450 processor.The new 2GoPad tablet includes a 2GB of RAM and 250GB hard drive for storage. The all new 2GoPad SL10 tablet Features 1.3 megapixel webcam, Wi-Fi, Bluetooth, Ethernet LAN, card reader, two USB ports, and D-Sub.The tablet is housed with a five hour life provider battery.Its weighs 1.18 kg and its dimensions are 258 x 165 x 18 mm. 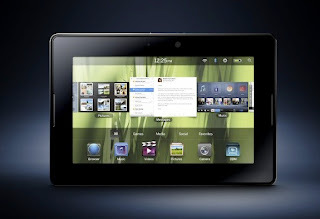 According to CTL the new $500 2GoPad SL10 tablet will ships by October 2010. Tags:-CTL 2GoPad tablet features, CTL 2GoPad tablet details, CTL 2GoPad tablet specs, CTL 2GoPad tablet price, CTL 2GoPad tablet price details, CTL 2GoPad tablet price tag, CTL 2GoPad tablet specifications. Mahindra India now all set to launch two new stylish bike named Mahindra Cevalo and Mahindra Diablo soon in the market.Its expected that both the new Mahindra Bikes will be launched by October 2010. The new Mahindra Cevalo comes as the entry level bike powered with 125cc fuel injected engine and includes Mahindra's advance technology and latest eye catching features.The expected price tag of new Mahindra Cevalo is about Rs. 60,000. 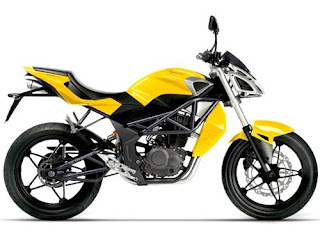 New Mahindra Diablo is a highly powered and priced bike includes a 300cc engine with a naked bike stylish look and features.The expected price tag of Mahindra Diablo is about Rs. 1,40,000. Tags:-Mahindra Bikes images, Mahindra Bikes price, Mahindra Bikes engine, Mahindra Bikes price details, Mahindra Bikes india price, Mahindra Bikes india launch, Mahindra Bikes india specs, Mahindra Bikes india release, Mahindra Bikes india specifications, Mahindra Cevalo and Mahindra Diablo india price, Mahindra Cevalo and Mahindra Diablo features. 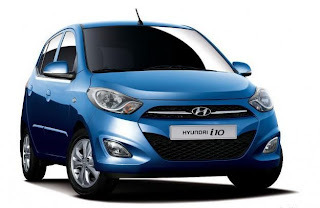 Hyundai India on its way to introduce the new improved version of their highly successful car Hyundai i10 soon in markets.The main feature of new updated Hyundai i10 is the introduction of new engine with VTVT technology. New Hyundai i10 VTVT will hit Indian roads on 23rd September, 2010. Other new Features that comes with the new New Hyundai i10 includes new front grille, new headlamps, tail lamps, adjustable head rests, new front and rear bumper all along with the new 1200cc VTVT engine that provides added power and better mileage of about 18kmpl. Hyundai New i10 VTVT will be available for an on road Price tag of Rs. 5,00,000. Tags:-Hyundai New i10 VTVT images, Hyundai New i10 VTVT photogallery, Hyundai New i10 VTVT mileage, Hyundai New i10 VTVT launch, Hyundai New i10 VTVT release, Hyundai New i10 VTVT specifications, Hyundai New i10 VTVT featires, Hyundai New i10 VTVT price in india, Hyundai New i10 VTVT india release, Hyundai New i10 VTVT india price. 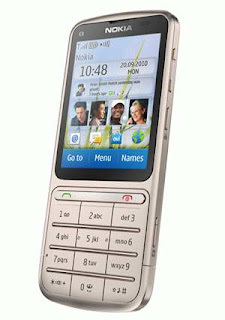 Nokia recently made the official announcement about the details of their upcoming handset, named Nokia C3 Touch and Type.New Nokia C3 Touch and Type Phone will hit market by Q4 2010 with a price tag of 145 EUR. 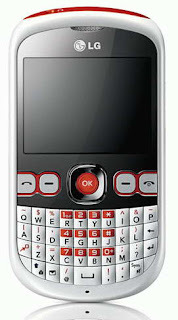 All new Nokia C3 Touch and Type Phone comes equipped with 2.4-inch touchscreen display with a resolution of 320 x 240 pixels (QVGA) and is based on Series 40 platform.The handset brings hardware alphanumeric keyboard and has supports for Nokia's Ovi services site (including applications and games store). New Nokia C3 Touch and Type phone houses a 5 megapixel camera with LED flash and has a 30MB internal memory along with a microSD card slot that support up to 32GB card. The handset Features Wi-Fi 802.11b/g/n, Bluetooth 2.1+EDR, FM radio with support for RDS, TV output, and 3.5mm audio jack. 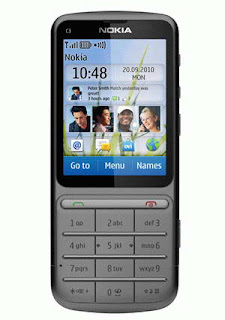 Nokia C3 Touch and Type phone is designed to support GSM/GPRS/EDGE 850/900/1800/1900 MHz and UMTS/HSPA 850/900/1900/2100 MHz networks.New Nokia C3 Touch and Type weighs 100g and its dimensions are 111 x 47.5 x 11 mm. 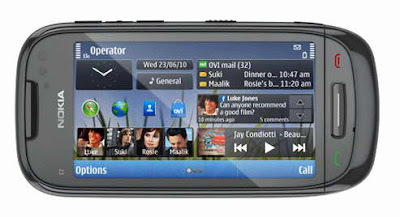 Tags:-Nokia C3 Touch and Type Phone price, Nokia C3 Touch and Type Phone release, Nokia C3 Touch and Type Phone launch, Nokia C3 Touch and Type Phone specs, Nokia C3 Touch and Type Phone features, Nokia C3 Touch and Type Phone price details, Nokia C3 Touch and Type Phone specifications, Nokia C3 Touch and Type Phone memory, Nokia C3 Touch and Type Phone shades. 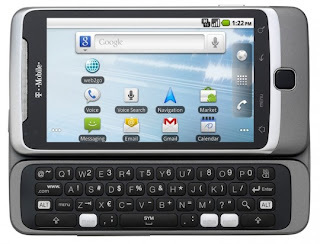 Taiwanese Smartphone manufacturer HTC recently made the official announcement about their upcoming Android based Smartphone, named HTC Desire HD.The handset comes housed in a aluminum made body chassis and is runs on Google Android 2.2 Froyo OS. New HTC Desire HD Smartphone is designed for markets of Europe and Asia, and is considered as the updated HTC EVO 4G launched in US.HTC Desire HD smartphone comes with HTC Sense UI that support HTCSense.com. 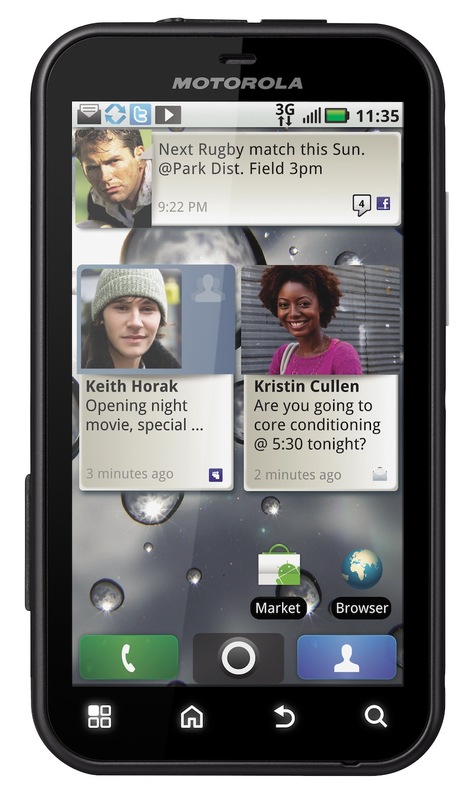 The all new HTC Desire HD smartphone comes equipped in a 4.3-inch capacitive touchscreen display with resolution of 480 x 800 pixels (WVGA) and is powered with a HTC Desire HD also houses an 8 megapixel autofocus camera with dual LED flash and able to record 720p HD video format (1280 x 720 pixels) and there is also a front camera that helps in video calling. 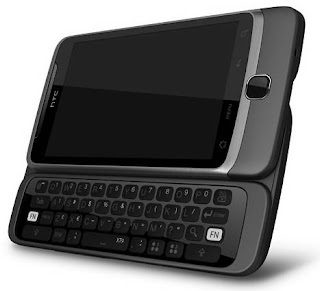 HTC Desire HD Android Smartphone Features Bluetooth 2.1 EDR, Wi-Fi 802.11n, GPS, slot for MicroSD card, 3.5mm audio jack, accelerometer, MicroUSB port and also includes Dolby Mobile and SRS virtual sound for quality sound output. 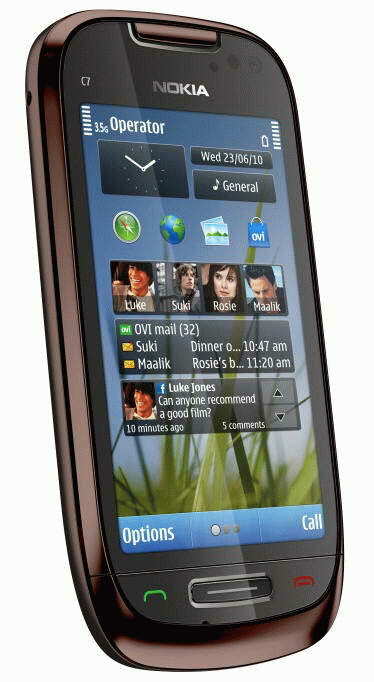 Its expected that the new HTC Desire HD Android Smartphone will hit markets of Europe and Asia by October 2010. Tags:-HTC Desire HD Smartphone features, HTC Desire HD Smartphone india launch, HTC Desire HD Smartphone release, HTC Desire HD Smartphone details, HTC Desire HD Smartphone specs, HTC Desire HD Smartphone camera. 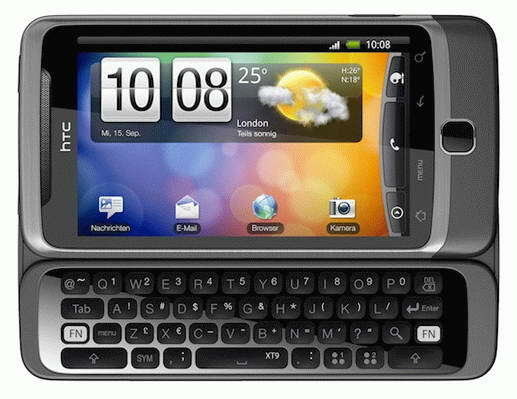 HTC now on its way to introduce a new stylish QWERTY Android smartphone, named HTC Desire Z in markets of Europe and Asia.The all new HTC Desire Z Smartphone is actually a version of T-Mobile G2 handset designed for US. The all new HTC Desire Z Smartphone comes equipped with a 3.7-inch capacitive touchscreen display with resolution of 480 x 800 pixels (WVGA) and is powered with 800MHz Qualcomm MSM7230 processor.HTC Desire Z includes 5 megapixel autofocus camera with LED flash which can be also used for recording 720p HD video. New HTC Desire Z Smartphone Features Wi-Fi 802.11n, Bluetooth, GPS, 3.5mm audio jack and an optical joystick.The smartphone has a 4GB internal memory.The handset supports 3G UMTS/HSPA networks. Sale of new HTC Desire Z Smartphone will be expected to start by October 2010 in markets of Europe and Asia.The price details is not revealed yet. 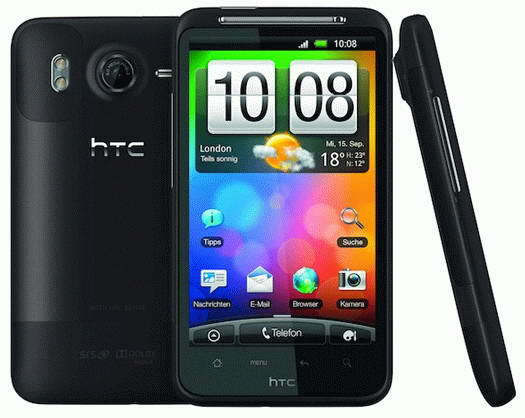 Tags:-HTC Desire Z Smartphone india launch, HTC Desire Z Smartphone features, HTC Desire Z Smartphone specifications, HTC Desire Z Smartphone camera, HTC Desire Z Smartphone memory, HTC Desire Z Smartphone specs, HTC Desire Z Smartphone images, HTC Desire Z Smartphone price tag. 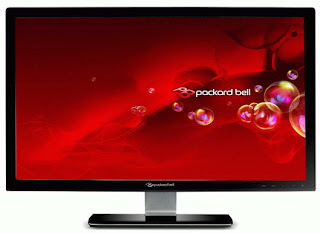 Packard Bell on its way to introduce its all new dual HDD notebook, named Packard Bell EasyNote LX86.The all new Packard Bell EasyNote LX86 Notebook comes pre-installed with Windows 7 Home Premium OS and Adobe Photoshop Elements 8 software. New Packard Bell EasyNote LX86 Notebook comes equipped with a 17.3-inch display with resolution of 1366 x 768 pixels and is powered with Intel Core quad-core processor.EasyNote LX86 Notebook also housed with either a a 2GB ATI Mobility Radeon HD 5850 or a 1GB ATI Mobility Radeon HD 5650 graphics accelerator. 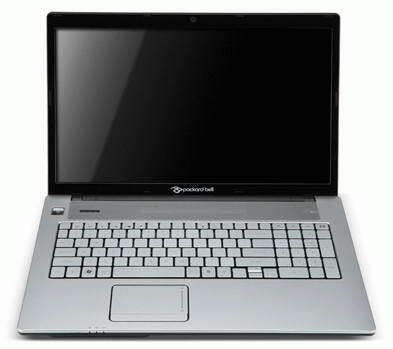 Packard Bell EasyNote LX86 Notebook top model features dual HDD with 1.5TB total capacity, Blu-ray, and Bluetooth 3.0.Other features of EasyNote LX86 Notebook includes 1.3 megapixel webcam, Wi-Fi 802.11n, Dolby Home Theater v3 audio, HDMI and VGA, four USB 2.0 ports and a card reader (MMC/SD/xD/MS/MS Pro).The notebook includes either a 6-cell or 9-cell battery. 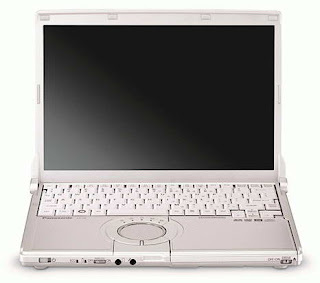 Tags:-Packard Bell EasyNote LX86 dual HDD Notebook, Packard Bell notebook, EasyNote LX86 dual HDD Notebook, dual HDD Notebook, Packard Bell EasyNote LX86 Notebook features, Packard Bell EasyNote LX86 Notebook specifications, Packard Bell EasyNote LX86 Notebook details. 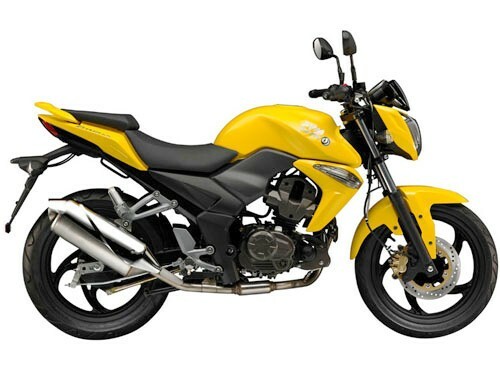 Suzuki India recently made the availability of its all new 125cc bike in India named, Suzuki SlingShot.The all new Suzuki SlingShot is now available in India for a on road price tag of Rs. 53,000. New Suzuki SlingShot comes powered with a 124cc four stroke engine capable of providing a maximum power of 8.5 Bhp @ 7500 rpm and a peak torque of 10 Nm @ 3500 rpm.The engine is mated with a 5 Speed gear box.The new Suzuki SlingShot comes available in two options-Suzuki Slingshot Spoke and Suzuki Slingshot Alloy. The all new Suzuki SlingShot bike features sharp edgy head lamps, new front fender design, convenient gear position indicator, BS carburettor with a Throttle Position Switch (TPS) and DC – CDI along with the Suzuki Pulsed-secondary AIR-injection (PAIR) system. Tags:-Suzuki SlingShot price, Suzuki SlingShot india price, Suzuki SlingShot on road price, Suzuki SlingShot variants, Suzuki SlingShot colors, Suzuki SlingShot shades, Suzuki SlingShot specs, Suzuki SlingShot features. HTC recently launched the availability of its all new HTC T-Mobile G2 smartphone via Best Buy.The T-Mobile G2 smartphone is now available for pre-order for a price tag of $199.99 on new two-year T-Mobile contract.The handset will ships by October 6. HTC T-Mobile G2 smartphone comes equipped with a 3.7-inch Super-TFT WVGA touchscreen display and is powered with a 800MHz Qualcomm processor.The smartphone houses a 4GB internal memory and is equipped with a microSD card slot forr expansion.T-Mobile G2 runs on Google Android 2.2 Froyo OS. 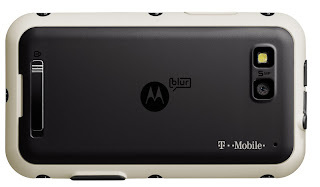 New HTC T-Mobile G2 smartphone features 5MP autofocus camera with HD video recording, sliding QWERTY keyboard, WiFi, GPS, 3.5mm audio socket, stereo Bluetooth and USB connectivity.The T-Mobile G2 handset is the first handset by HTC that provides high speed 4G( HSPA+). 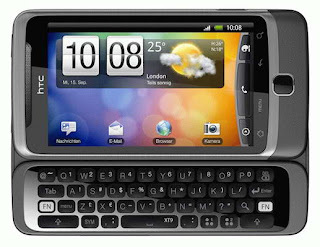 Tags:-HTC T-Mobile G2 pre-order price, HTC T-Mobile G2 specs, HTC T-Mobile G2 features, HTC T-Mobile G2 price tag, HTC T-Mobile G2 release, HTC T-Mobile G2 launch, HTC T-Mobile G2 4G, 4G smartphone, 4G HTC smartphone. Hero Honda India recently updated its Splendor bike with its New Super Splendor.The all new Super Splendor bike comes with new design graphics and a number of extra features.New Super Splendor is available for an on road price tag of Rs.54,000. 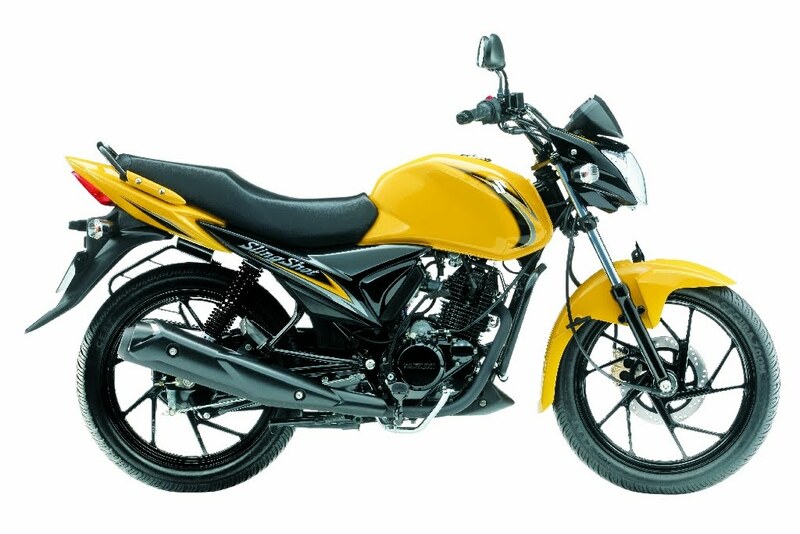 New Super Splendor comes powered with 125cc 4-Stroke OHC, Single Cylinder, Air Cooled engine capable of producing a maximum power of 9 Bhp @ 7000 rpm and a peak torque of 10.35 Nm @ 4000 rpm.Super Splendor has a top speed of 90kph. Newly added features that comes with the new New Super Splendor includes New graphics, Redesigned alloy wheels, tail light and headlight, new meter console, Broad exhaust muffler and Translucent bikini visor. Tags:-Hero Honda Super Splendor, New Super Splendor price, New Super Splendor on road price, New Super Splendor launch, New Super Splendor review, New Super Splendor specs, New Super Splendor top speed, New Super Splendor mileage, New Super Splendor power, New Super Splendor colors. Japanese manufacturer Mouse Computer recently made the official announcement of about the release of their first tablet, named Mouse Computer LuvPad AD100.The new LuvPad AD100 tablet is based on nVidia Tegra 2 platform and runs on Android 2.2 OS. The all new Mouse Computer LuvPad AD100 tablet comes equipped with a 10-inch capacitive touchscreen display with a resolution of 1024 x 600 pixels and is powered with nVidia Tegra 2 processor (model 250) that enables 1080p high-definition video.LuvPad AD100 Android tablet includes a 512MB RAM module and Features 8GB flash storage, and Wi-Fi 802.11 b/g.The tablet has a weight of about 760g. New Mouse Computer LuvPad AD100 tablet is expected to arrive soon in Japanese market for a price tag of $400. 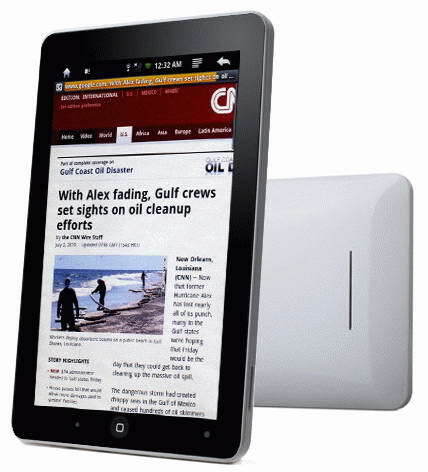 Tags:-LuvPad AD100 tablet features, LuvPad AD100 tablet price, LuvPad AD100 tablet specs, Mouse Computer LuvPad Tablet specs, Mouse Computer LuvPad Tablet specs details, Mouse Computer LuvPad Tablet price, Mouse Computer LuvPad Tablet price tag, Mouse Computer LuvPad Tablet launch, Mouse Computer LuvPad Tablet release. 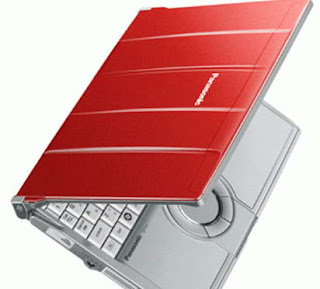 Panasonic recently expanded its ToughBook range Rugged Notebooks line up with the introduction of new varients named Panasonic ToughBook F5, Panasonic ToughBook N9 and Panasonic ToughBook S9.The new ToughBook notebooks is expected to hit market soon and is available in shades of red, black, or black and white. The new Panasonic ToughBook N9 and S9 notebooks comes equipped with a 12.1-inch LCD display where as the Panasonic ToughBook F5 notebook equips a 14.1-inch screen.All the new ToughBook Rugged notebooks are powered with a 2.66GHz Intel Core i5-560M or more powerful a 2.8GHz Core i7-640M processor. The ToughBook F5, N9 and S9 Rugged notebooks includes 4GB (up to 8GB) of RAM, up to 640GB hard drive and optional 256GB solid state drive (SSD). New Panasonic ToughBook F5, N9 and S9 rugged notebooks Features 802.11n Wi-Fi, WiMAX and their battery provides 14.5 hours of life.all notebooks comes pre-installed with Windows 7 Professional OS.Weight of new Panasonic ToughBook N9, S9 and F5 are accordingly 1.31kg, 1.34 kg and 1.59 kg. Tags:-Panasonic ToughBook F5, N9, S9 Rugged Notebooks features, Panasonic ToughBook F5, N9, S9 Rugged Notebooks specifications, Panasonic ToughBook F5, N9, S9 Rugged Notebooks details.